10 a.m. to 10 a.m.
Our annual Canton Regional Chamber Golf Outing is coming up in June...this year at Shady Hollow Country Club. The 2014 Golf Outing package includes 18 exciting holes, cart included, along with complimentary range balls, gifts, lunch and dinner—all for $155 per person. Registration is limited to 144 players so sign your foursome up now! This is sure to be another sell-out. Many levels of sponsorship are available for the 2014 Annual Chamber Golf Outing, and we’re happy to customize a package for you. We have a wide range of opportunities. Make sure you get brand exposure at this sell-out event. For more information, contact Whitney Prather, events and marketing manager, at (330) 458-2073 or whitneyp@cantonchamber.org. 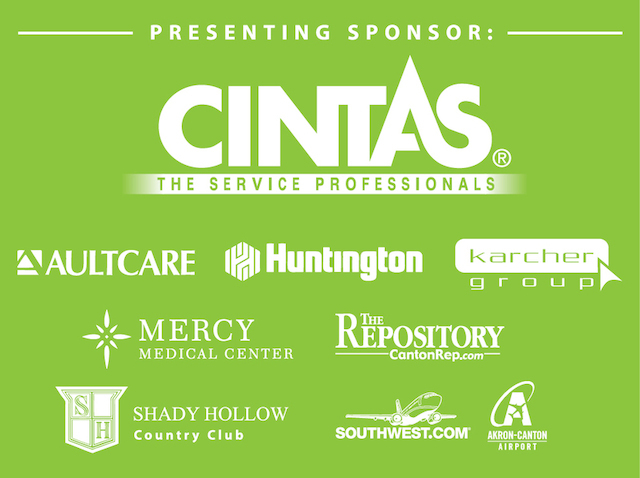 Our major sponsors to date include presenting sponsor Cintas, along with AultCare, Huntington Bank, The Karcher Group, Mercy Medical Center, The Repository and Shady Hollow Country Club.